Next in the chutney series, is a Garlic chutney that I made for Dabeli. It’s really garlicky and spicy. When I started the series of Chat last month, everybody at home loved all of them. I am lucky in that Athamma always likes what I make. So even if hubby dear doesn’t like something I can always be sure that I have at least one person who would willing try it out. And of course Konda is such an age, where she likes whatever I make. Infact she saw the Tandoori Masala and was upset she wasn’t given it. I said I had made an Aloo with it, which she might not eat. She said she would and wanted me to make it again. Of course I would make Paneer Tikka with that masala. 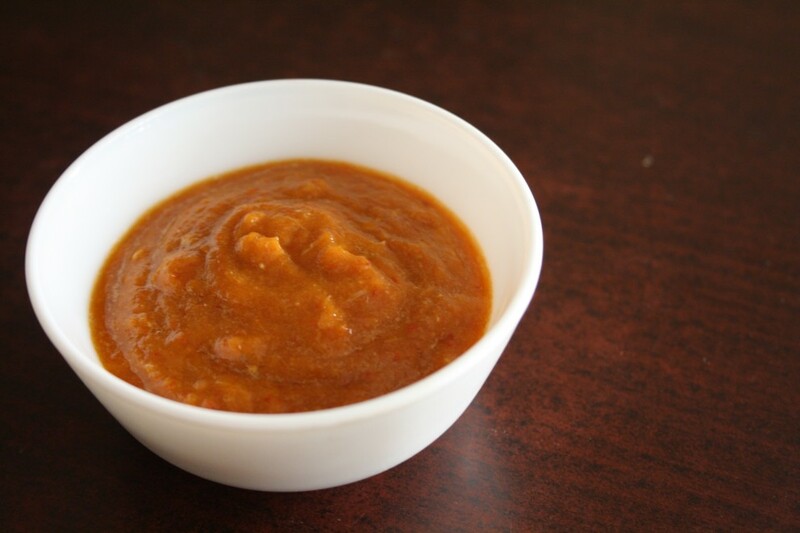 For now you can check out this Garlic Chutney, that not only made the Dabelis very delicious, these can be a great dish to spread over dosas and pancakes if you so wish! Dry toss the chilies along with cumin seeds. 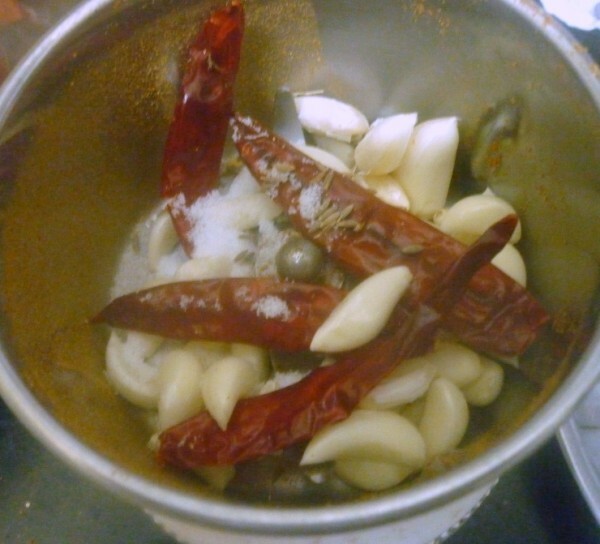 Once cooled, take it along with peeled garlic and pulse it to a fine paste. This can easily stay good for couple of days when refrigerated because garlic is fresh. This can be used as spread over dosas as well. 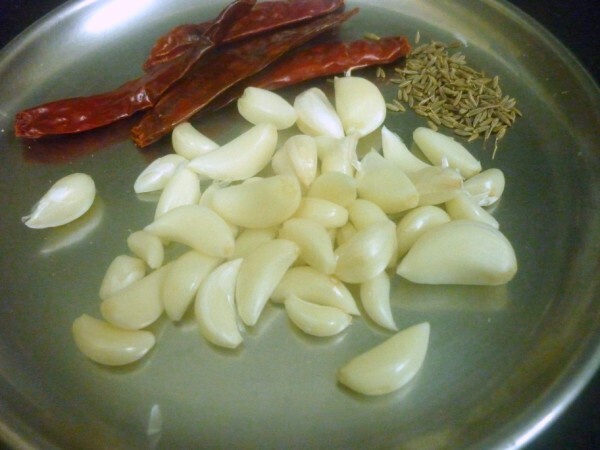 Garlic chutneys are one of my weakness, love to have like a spread over a toasted bread.. I am sure my husband will relish it! I love garlic & this sounds like a great relish! However my husband would love to finish off that bowl. 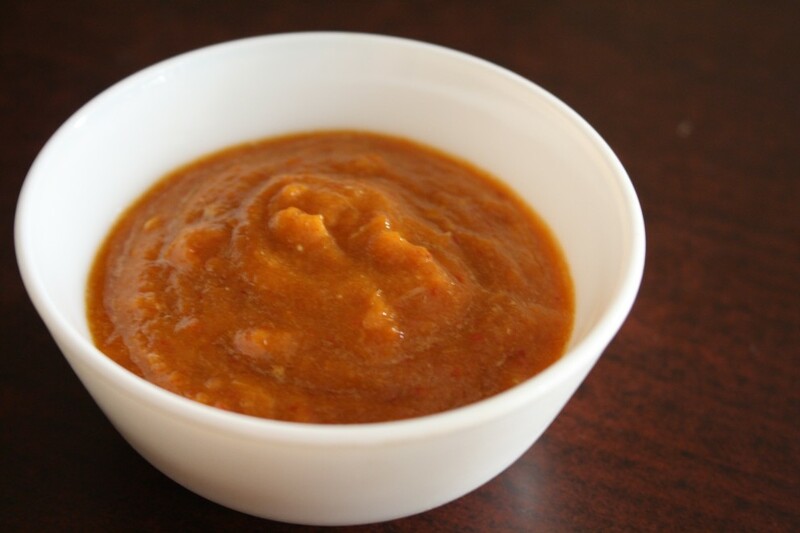 Garlic chutney sounds so flavorful and spicy. I think your daughter inherited your food genes. You have a budding cook in the house.. Very nice. This pairs so well with anything! bookmarked! That's all there is to making this chutney? Valli this is awesome. I ma stocking my fridge with this. So flavor full one trust me my tounge is watery now.